Chery Car Manuals PDF & Wiring Diagrams above the page. The car company Chery Automobile Co. Ltd appeared in 1997 in China. It was founded in the city of Wuhu . In fact, the original name of the company sounds Ki Ryu - "special blessing". Only after the company cars were sold for export, it was decided to change the name of the brand cars at Chery. In 2010 Chery Heavy Industries appeared - forklift, loader producing. The emblem of the automobile companies, it was decided to select a combination of letters C-A-C - an acronym stands for Chery Automobile Corporation. The letter A - is top class, and two letters C - unity and strength. Initially, the shareholders have been state-owned companies and a number of small investors. The main products of the company was - the release of internal combustion engines, but already in 1999 the production line came first Chery car. In 2001, the State transferred 20% shares of Shanghai State-owned Chery Automobile concern SAIC, making Chery started selling cars in China and gained the ability to export their cars to foreign countries. Syria was the first country where Chery started supplying their cars. 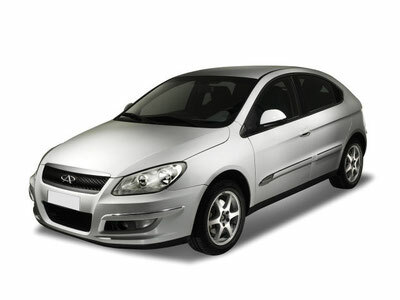 In 2002, Chery has released cars Chery Fulwind - the name Chery Amulet has been selected for export. The basis was taken the car Seat Toledo (PDF Manual page). In 2003 the factory left the car Chery QQ, a basis was made to take hatchback Daewoo Matiz (Service Manual page). Also in 2003, there was a car Chery Oriental Son is very similar to the Daewoo Magnus. In 2006, its name was changed to Chery Eastarr. In 2004, a scandal broke out because of the Chery QQ group SAIC forced to withdraw from the shareholders of the company Chery. In 2005, the company's pipeline goes Chery Tiggo, is very reminiscent of Toyota RAV4 (PDF Manuals page) and Honda CR-V (Manuals PDF page). Already in 2006, Chery began to collect in Indonesia and on the territory of Russia, namely in Kaliningrad. Independent division «Chery Engine» together with the Austrian company launched the production of engines ACTECO (Austria AVL & China Chery's Technology Cooperation), and plans to produce more than 400 000 engines per year. Despite the fact that Chery is the youngest Chinese company by the end of 2005 the number of car sales will exceed 87,000 in the domestic market and more than 185,000 for export, and passed in 2006 for 500 000 vehicles a year. In 2007 between Chery and Chrysler (Owner Manuals page) signed an agreement on mutual cooperation for the production of small and medium-sized cars for export to North America and Western Europe. In the same year, Chery has signed a contract with Iran Khodro (Owner Manuals PDF page) and Solitac investment fund to build a plant in Iran. The plant will produce Chery QQ6. The official opening was planned for 2008.